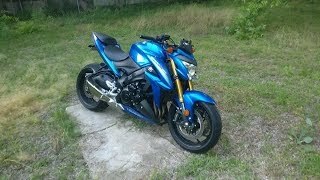 This new 2017 Suzuki GSX-S1000 Motorcycle for sale has 0 miles. The color is . It is offered for sale by Fuel Powersports and located in West Bend, WI. The listing # is 84275. 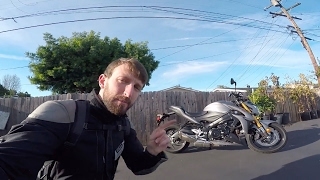 As much as a GSX-R1000 owns the racetrack, the GSX-S1000 owns the street. Developed using the attributes of the championship winning 2005 2008 generation GSX-R1000, this sportbike carries the spirit of the Suzuki performance to the street, with shared technology and components packaged into a chassis designed specifically for all-day riding comfort. It's more than just an attitude, a spirit, or a lineage though; it's about performance-packed hard parts evolving from one generation to the next. 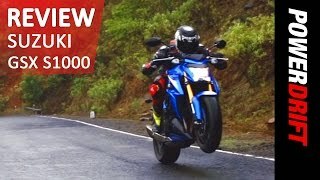 The GSX-S1000 is powered by a 999cc inline four-cylinder powerplant that's based on the legendary long-stroke GSX-R1000 engine, which makes for ideal street-riding power and torque curve. Focused on making big power through the low and mid-range, this engine uses a valve-train that's optimized to deliver street-dominating power. 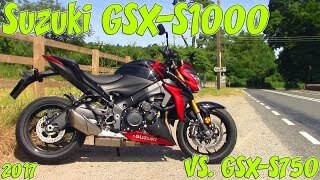 Equipped with a powerful engine, Suzuki's Advanced Traction Control System*, a balanced KYB suspension, and Brembo brakes, the GSX-S1000 is a street bike packed with some serious performance. Top that performance off with wild, rugged, and aggressive styling, and you have a naked roadster ready to attack and turn heads on the street. The GSX-S1000 features Suzuki's advanced Traction Control System* to let the rider control the throttle with more confidence in various riding conditions. It continuously monitors front and rear wheel speeds, throttle opening, engine speed, and the selected transmission gear to adjust engine output if wheel spin is detected. The average price of a 2017 Motorcycle for sale is $9008.98. This model is priced $221.98 less. The average price of a 2017 Suzuki Motorcycle for sale is $7909.57. This model is priced $877.43 more. The average 2017 Suzuki Motorcycle for sale has 1653 miles. This model has 1653 less miles. There are 408 Suzuki Motorcycles for sale within 150 miles of West Bend, WI. If you looked at the average 2016 Suzuki Motorcycle for sale it would cost $1288.85 less. 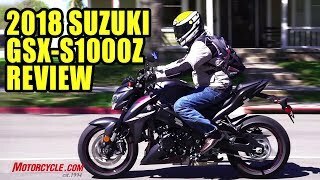 If you looked at the average 2018 Suzuki Motorcycle for sale it would cost $712.81 less. 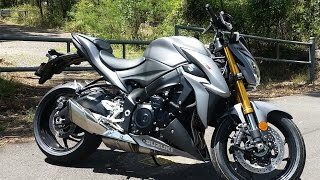 The average price of a 2017 Suzuki GSX-S1000 Motorcycle for sale is $8682.00. This model is priced $105.00 more. 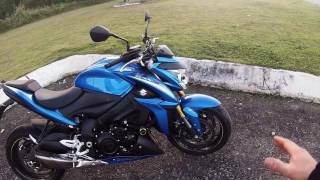 The average 2017 Suzuki GSX-S1000 Motorcycle for sale has 2259 miles. This model has 2259 less miles. There are 2 Suzuki GSX-S1000 Motorcycles for sale within 150 miles of West Bend, WI. 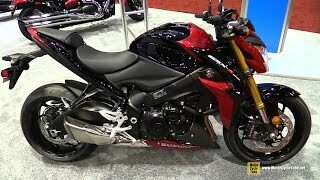 If you looked at the average 2016 Suzuki GSX-S1000 Motorcycle for sale it would cost $1530.17 less. 4. 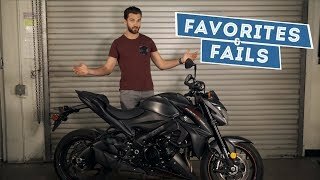 Suzuki GSX-S1000 Test Ride | The Super naked with a famous engine!